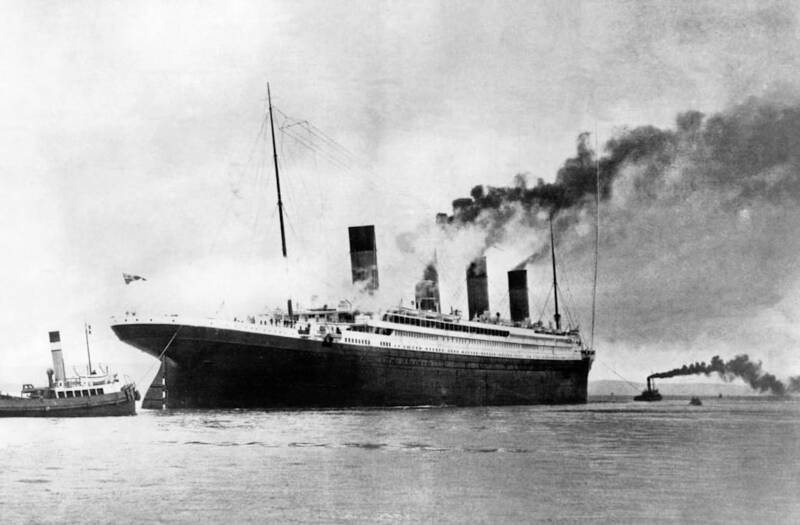 The sinking of luxury cruiser, Titanic, baffled the nation and the world in 1912, after an iceberg collision resulted in the death of about 1,500 people. Now, over 100 years later, REELZ’s new docuseries, Collision Course: Titanic, seeks to inform viewers about the unfathomable tragedy, and reveal new details about the boat’s quick collapse. “There were three million of these that put the ship together,” Tom Lynskey, the creator of video game Titanic: Honor and Glory, says while holding a steel rivet (like those which held up the Titanic’s plates) in the show teaser. An attendent displays a volume of thirty-four signals between the ocean liners Olympic, Titanic, Carpathia and other ships, dated April 14th to April 16th 1912, detailing the distress signals of the Titanic and rescue operations following the disaster during an auction of maritime items at Christie's East in New York, February 17. The volume of messages sold at the auction for $123,500 to an undisclosed bidder. “The theory is the cold water made the rivets and the steel itself on the whole plating weak, it made it brittle,” he adds. Lynskey says that after the sinking tragedy of 1912, new rivets were made in the same shape, from the same steel and were tested using the same temperature water, up against the same force of an iceberg impact. “They hold up quite well,” he said. Lynskey is not the only person who’s wondered why an iceberg was able to cause such damage to a large, 882 feet, ship like the Titanic. For decades, baffled family members of the victims and boat experts have come up with theories regarding the incident. Some even suggested that the vessel had other technical difficulties that resulted in its destruction. “It was not the rivets that failed,” says Lynskey. Collision Course: Titanic, airs Sunday, August 19 at 10:00 ET / PT on REELZ. The post Baffled Titanic Expert Says Luxury Ship Should Not Have Sunk After Iceberg Impact appeared first on RadarOnline.